After a year and a half of living in a Brooklyn apartment, Casey Brown and Danfung Dennis started hatching an escape plan. 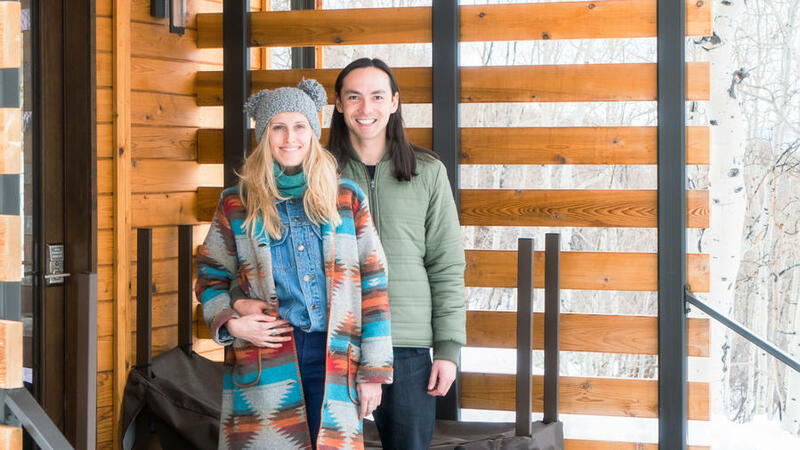 So in 2012, the couple swapped urban life for total seclusion: a 12-acre lot outside Park City, Utah, where they built a yurt amid an aspen grove. A bank of windows on the home’s sunny southern side, where Brown practices yoga and Dennis meditates, heats the concrete floor, which helps keep the house warm. Depending on the season or the time of day, a glass oculus at the ceiling’s 18-foot peak can be opened or closed, regulating the temperature. For insulation, the couple opted for an almost entirely natural product made of recycled blue jeans. And instead of typical drywall, they used ReWall EssentialBoard, which is made of post-consumer paper milk cartons. ; . The 35-foot-diameter prefab yurt they had erected provides a modest 930 square feet of living space, which the couple shares with their two dogs, Lucy and Luna, and a one-eyed cat named Kiki. The couple sourced sustainable furniture for the living room from Los Angeles–based Cisco Brothers, including the square ottoman, which doubles as a guest bed when it’s nestled into the crook of the L-shaped sectional. Vista 2PC Sectional, from $1,835, and Radley Ottoman, from $1,040; . 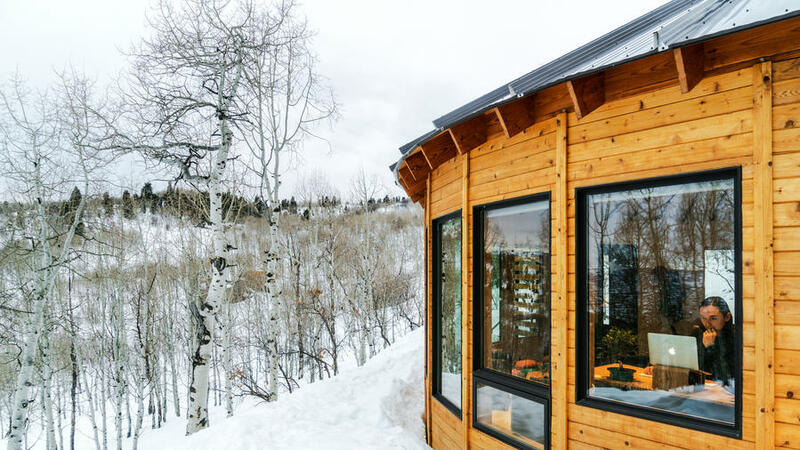 In addition to the main living space, the cedar-clad yurt () includes a 500-square-foot annex, which consists of a mudroom, electrical/solar room, and the bathroom. 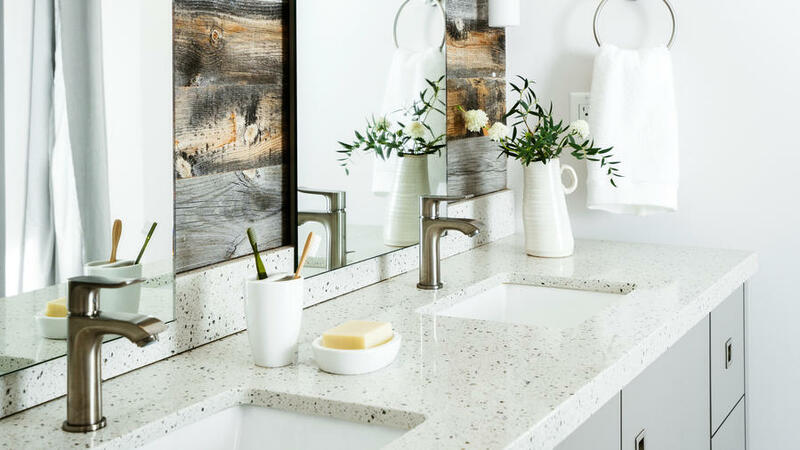 For the kitchen backsplash, Brown chose handmade tile from Fireclay Tile, not just for its 70-percent recycled content, but also for its likeness to the landscape: The motif reminds her of snowflake geometry. Starburst, $35/per piece; . 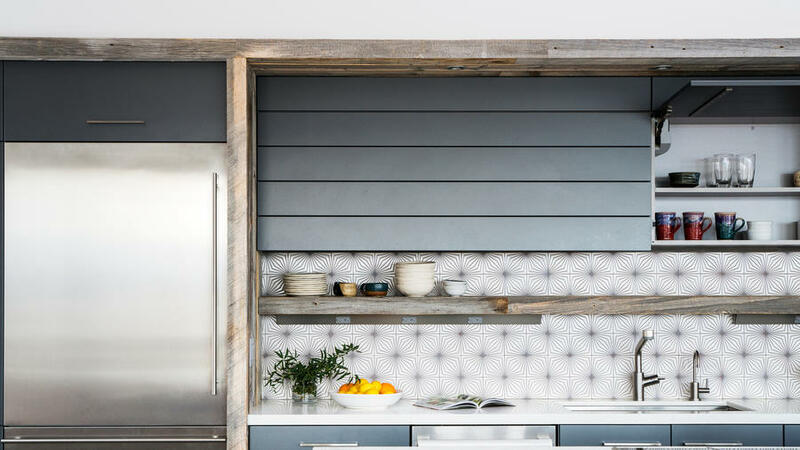 Situated opposite the kitchen, the bedroom wall is clad in reclaimed wood from Wyoming fences (), for a rustic mountain vibe. 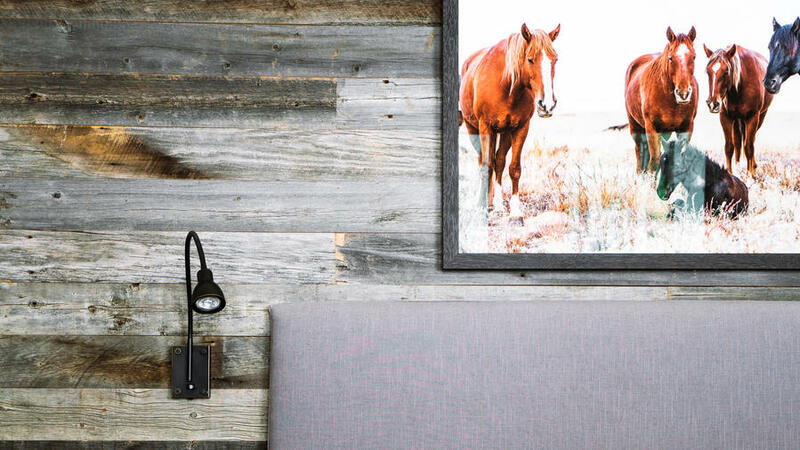 Above the bed hangs a photograph of wild mustangs that Dennis took during a trip to the Onaqui Mountains, about 40 miles southwest of Salt Lake City. Skywalkers blanket, from $249; .